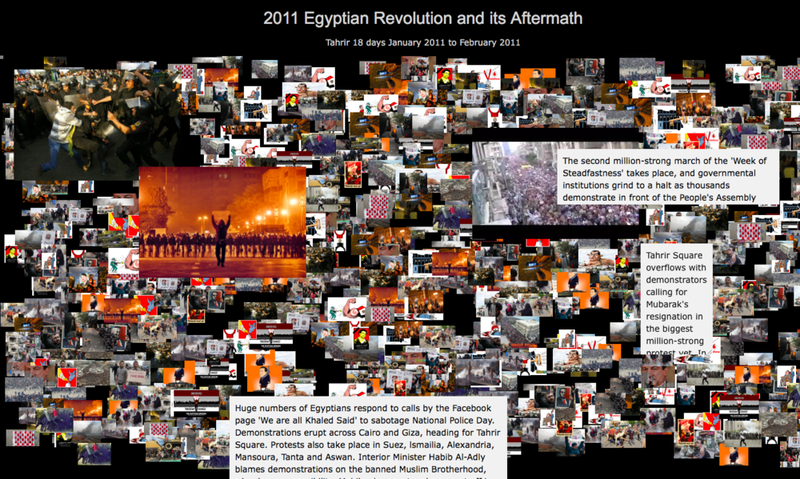 Vox Populi is a web-based participatory timeline of the 2011 Egyptian revolution and its aftermath. 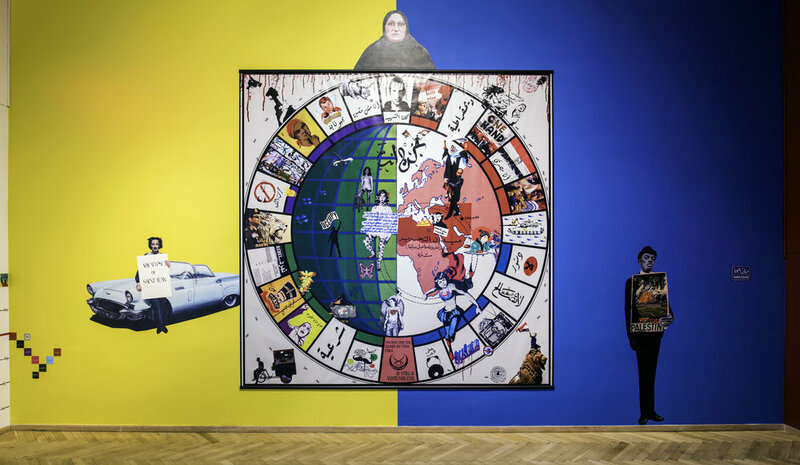 Positioned at the intersection of digital archives, innovative forms of interactive documentary and contemporary art, this online platform is at once an artwork—a ‘transmedia’ collage—and an open source portal into archives related to Tahrir Square and many more global social movements. The Vox Populi database is now online. 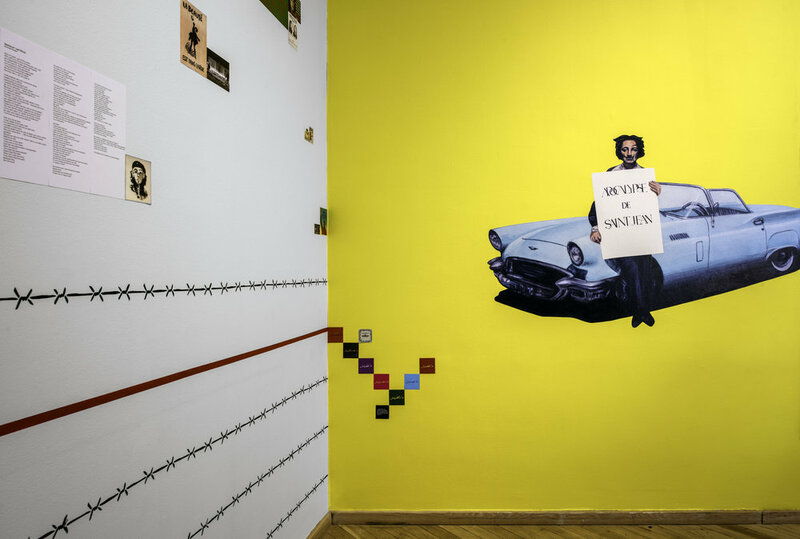 The archive is exhibited in the form of a video installation in museums, biennials and other art spaces is central to a series of artworks performing the archive and addressing Tahrir Square in the global context. The interface is currently in progress. The Game. Design for the interface of the Vox Populi timeline. Digital montage. Exhibition size 125X125 inches. Dimensions variable. 2018. © Lara Baladi. Tahrir Square stands as one of our most digitally documented and disseminated event in modern history. It has become the archetype of a global phenomenon that has marked the beginning of the 21st century. Vox Populi, Archiving a Revolution in the Digital Age, is an interactive timeline of the Egyptian revolution and its aftermath. It is a tribute to the 2011 Egyptian revolution and its impact on and resonance with the uprisings and socio-political movements that followed, and continue to do so worldwide. It is a multilayered and mutable narrative in which the data and metadata are interlinked and displayed across a chronological timeline of global events. 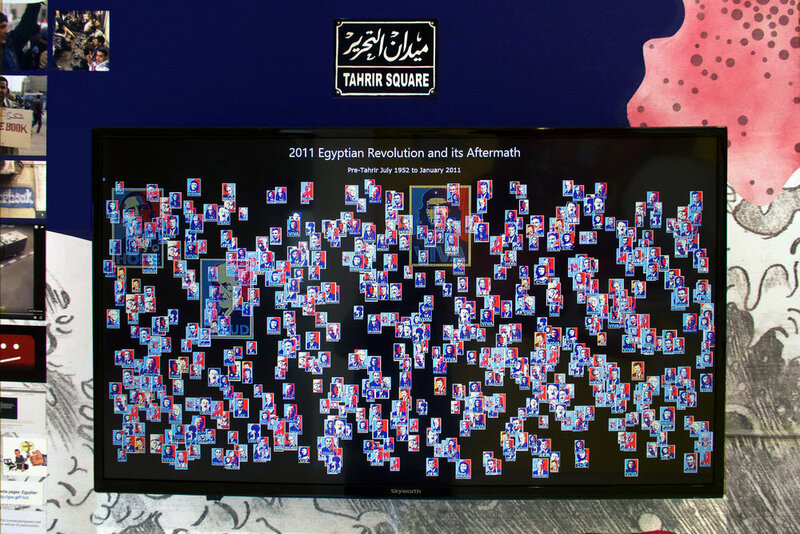 Digital archives related to the 2011 Arab uprisings and other global protests—Youtube videos, photos, graffiti, articles and further data—converge into a contemporary fresco, a monument to the symbolic event that was, and still is, Tahrir Square. 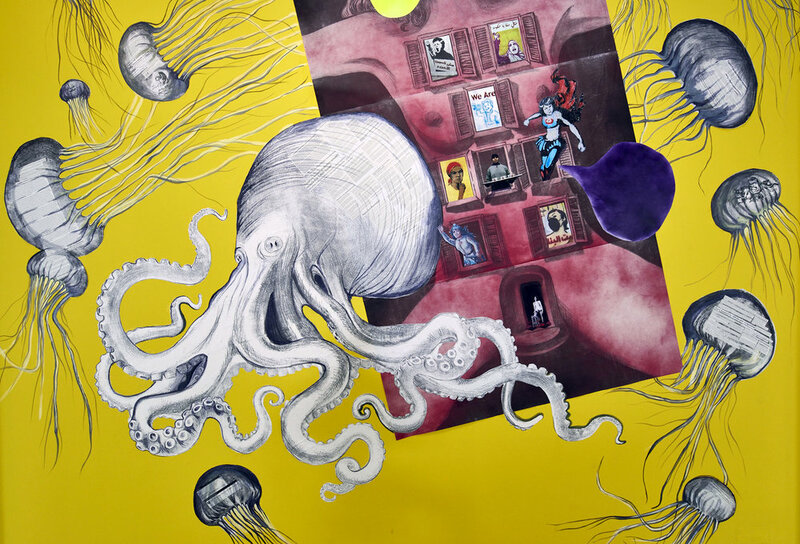 This literal transmedia painting tableau vivant is positioned at the intersection of digital archives, innovative forms of interactive documentary and contemporary art. Ultimately, Vox Populi offers an architectural frame for the many historical events and socio-political movements that resonate with the name Tahrir Square. 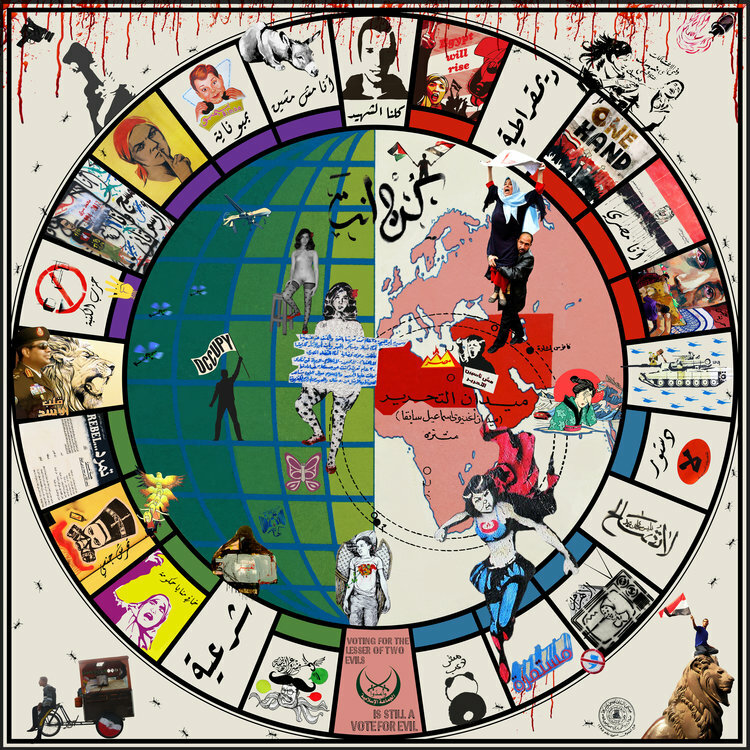 Don't Be Too Candid weaves historic correlations between the Arab uprisings and other global social movements through a wide range of iconic and archetypal images, videos, poetry, articles and more data. 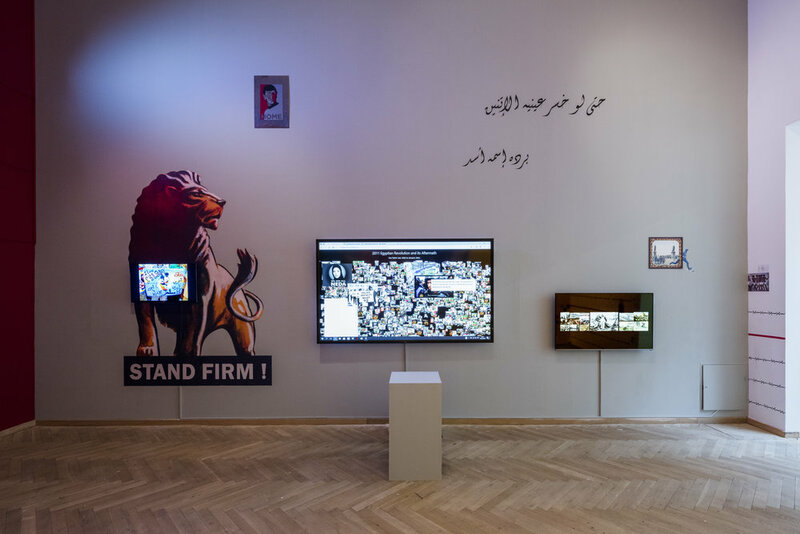 The multimedia installation focuses on the present post revolution context and the shift of power (represented by the lion) from the state to the protester and back to the state. Don't Be Too Candid. Site Specific multimedia installation. LED tickers, murals—paintings by Eric Busch, video installations, web based open source Vox Populi database/timeline. Installation views. #WhatIf, Kunsthal Charlottenborg, Copenhagen, Denmark. Photos by Karim Hanna and Lara Baladi © Lara Baladi, 2018. Vox Populi, Archiving a Revolution in the Digital Age. Web based open source archive. Ongoing since 2011. Still, 2017. © Lara Baladi. Be Realistic, Ask for the Impossible is anchored in the 2011 Egyptian Revolution and its aftermath. The multimedia installation displays a timeline of events from the first recorded strike in Egypt before Christ until today. 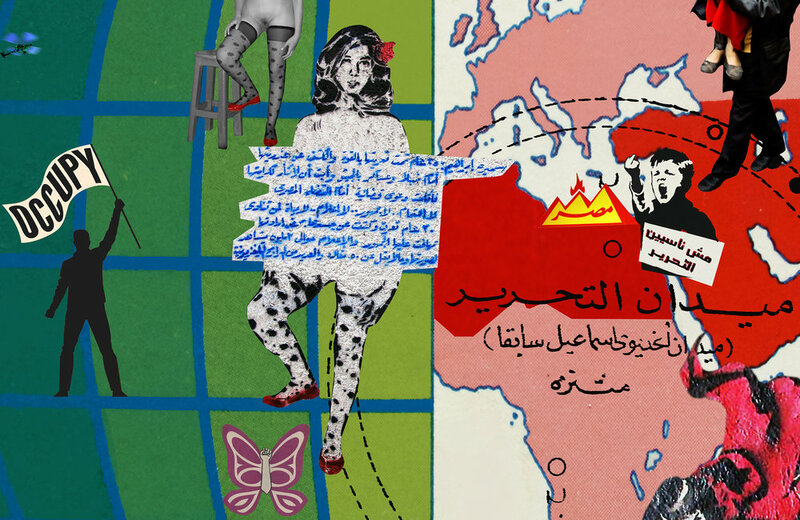 The work weaves historic correlations between the Arab uprisings and other global social movements through a wide range of iconic and archetypal images, videos, poetry, articles and more data. Be Realistic, Ask for the Impossible, Multimedia installation. 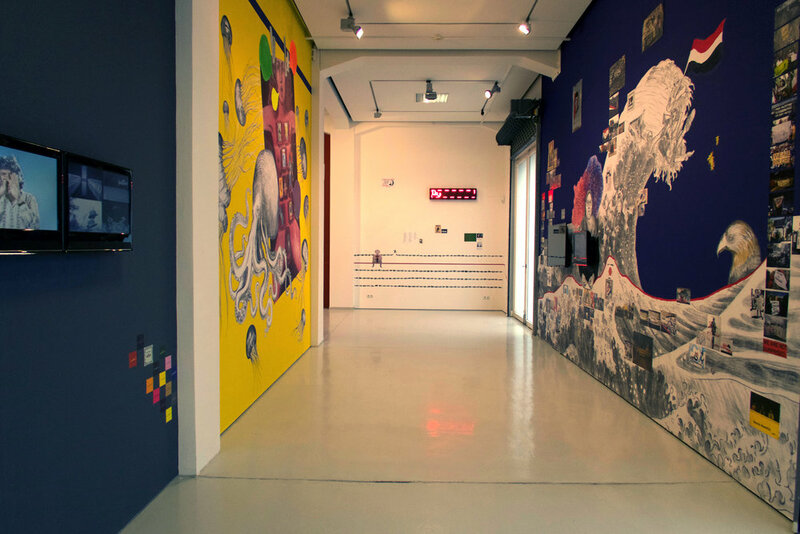 LED ticker, video installations, murals and the Vox Populi web based archive/timeline. Installation views, Affect Me. Social Media In Art, KAI10 | Arthena Foundation, Dusseldorf, Germany, 2017. © Lara Baladi. Paper prototype video for the interactive timeline, Vox Populi, Archiving a Revolution in the Digital Age. © Lara Baladi, 2015.